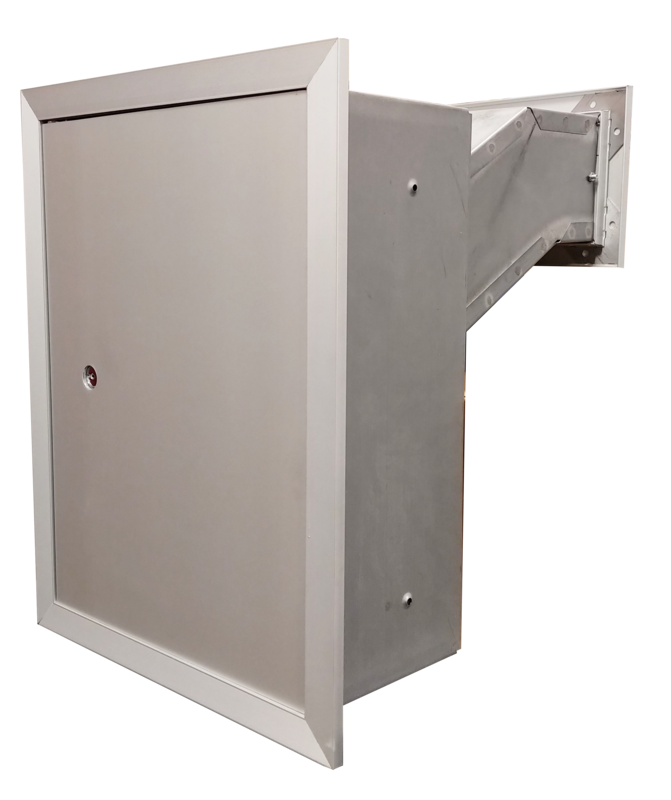 This combination of a 120 Series surface-mounted collection box with the LD12A letter drop, creates a collection box solution. The 12SMLDLA allows for deposit and secure collection of mail in private applications. The letter drop is engraved U.S. MAIL and has an 8-inch angled liner dropping into the collection box. Everything you need to install a letter drop with a private collection box. Requires wall cut.